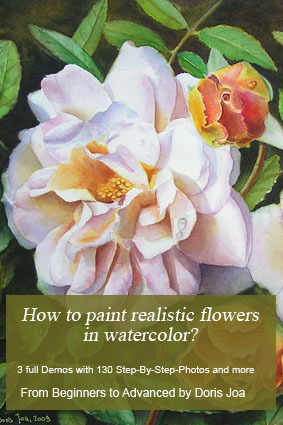 Learn with me how to paint realistic flowers in watercolor. 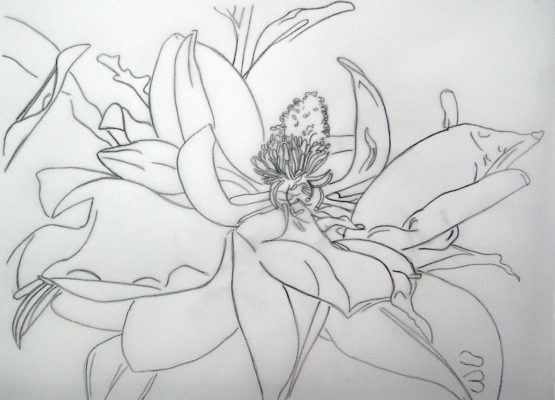 This E-book is perfect for you to view large work in progress photos again and again. 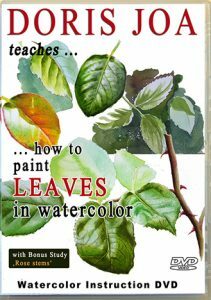 I have created this Watercolor E-book to give you the opportunity to learn more about watercolors and how to paint realistic art. I work with a limited palette and in the E-book are 82 pages full with Tips, Demos and many many step-by-step-Photos (over 130 photos only in the Demos). 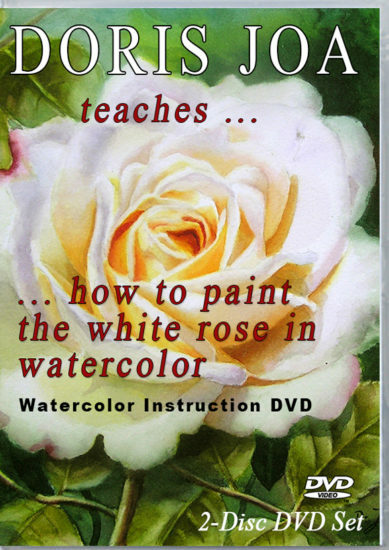 Didn’t you know yet how to paint white roses? STOP: Before you order this ebook please have in mind that it is an E-BOOK. You will be able to read it on your computer, smartphone or tablet. It is .pdf-format – but you also can print it out. 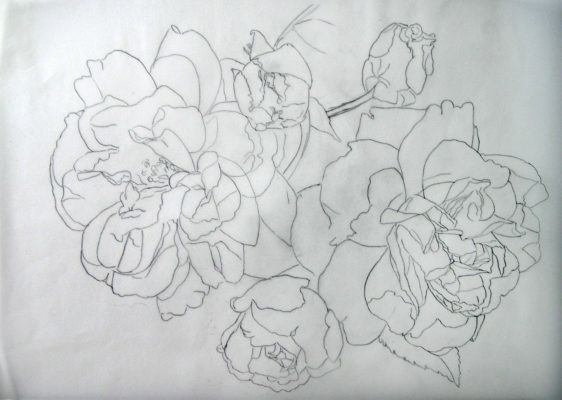 Each demonstration starts with the drawing on the white paper and ends with the finished painting. There are also close ups of different stages. The benefit of this E-book is that you can enlarge the images on your computer. 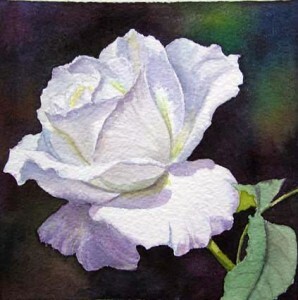 Enlarging them will show you in detail how my watercolor washes do look. 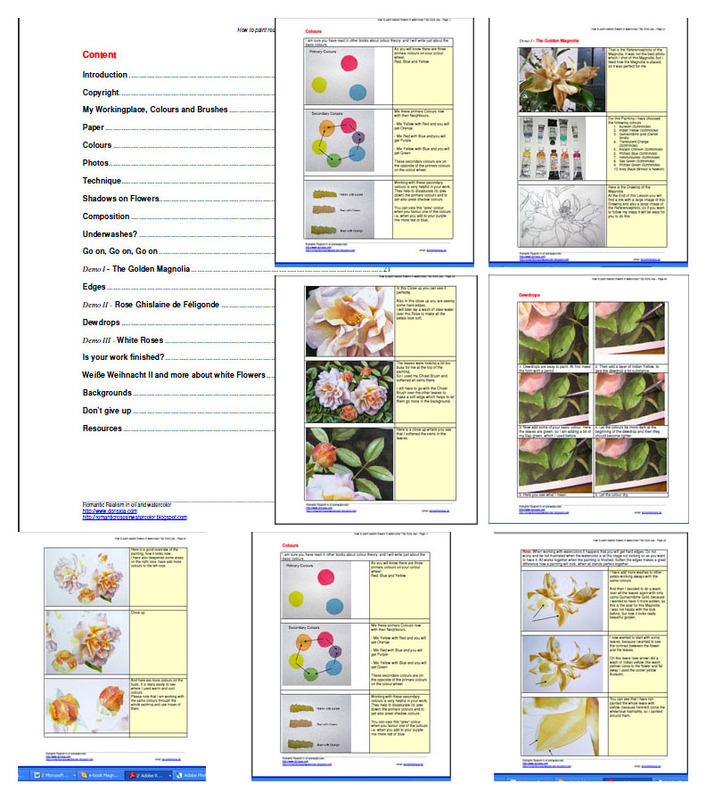 The .pdf format is very useful for zooming. The book has 13 MB. After your successful purchase you will get a download link. Although this link works perfect, but should it happen, that this link for any reason doesn’t work, don’t worry and please contact me. I will provide you another link. 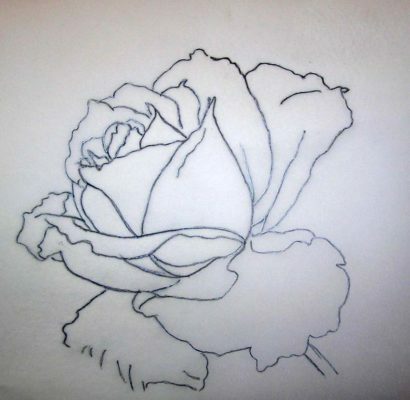 This are only small preview images. 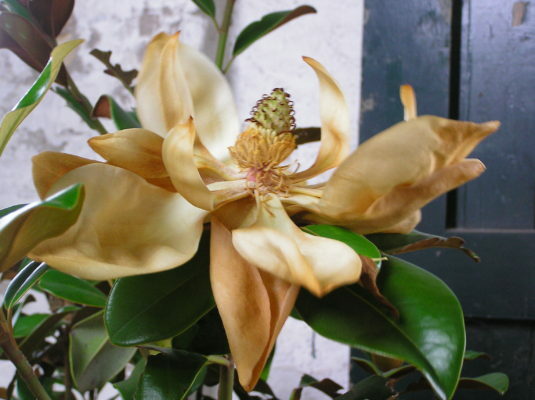 In the original e-book with the link for the supporting material you will get large images. 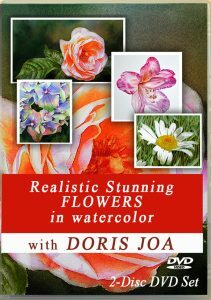 I recently purchased Doris Joa’s e-book and it is without doubt, the best investment I ever made. 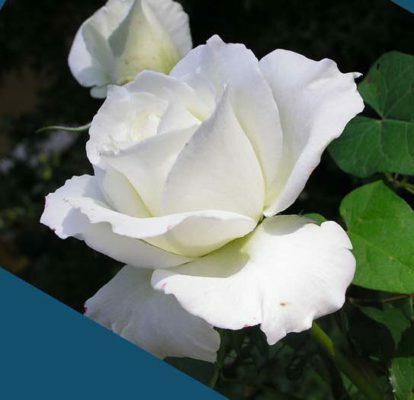 The content and instructions are so clear and extremely easy to follow. 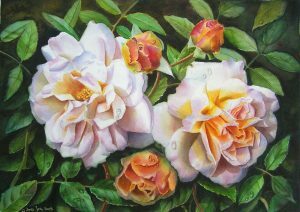 As a hobby artist with limited watercolour experience I had been producing artwork where the flowers looked like ‘paint by numbers’. 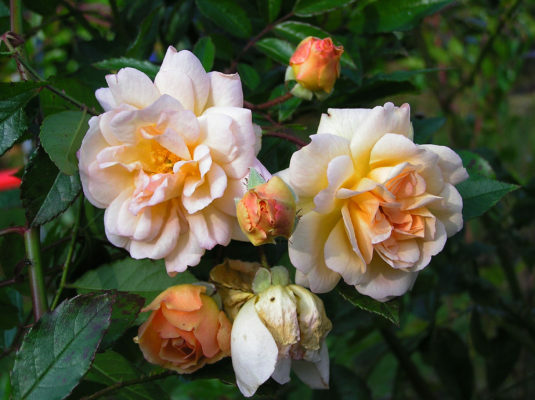 In just one session following the instructions in the e-book by Doris, I produced a rose that I am very proud of and it looks so very real. 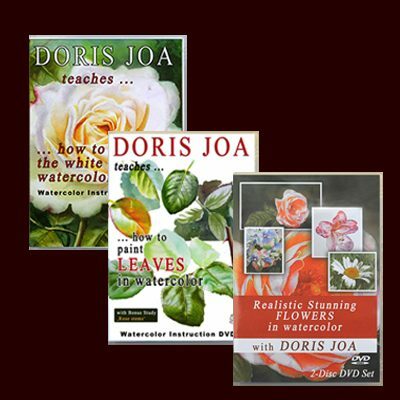 The extra bonus was that Doris really went out of her way to answer a few questions I had that were specific to my needs. 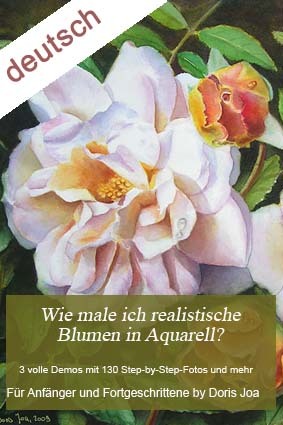 … I love the book – simply beautiful! Please let me know if you do any more, your book is the best I have ever seen. … This E-book is a “Must Have” for anyone who wants to learn how to paint watercolor flowers from a Pro! 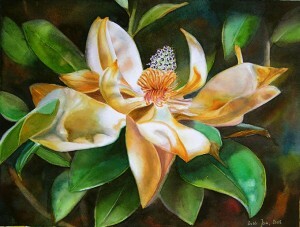 Doris Joa is a master at painting ANY subject and her flowers are magnificent! 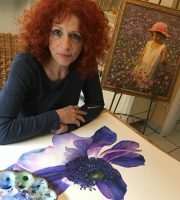 I have been blessed enough to be guided artistically by Doris for the past several years and she continues to astonish me with her amazing ability to create the most beautiful flower and figurative paintings as well as assist her students in confidently applying and mastering the techniques she demonstrates. I must say your book is on my laptop, tablet and smartphone … so I have it always with me and I enjoy to learn more and more from you. I love your book and videos. Please do more!!!!!!!!!!!!!!!!!!!!!!!!!!!!!!!!!!!!!!!!!!!!!!!!!!! Love your DVD’s!!!! I have all of them!!! 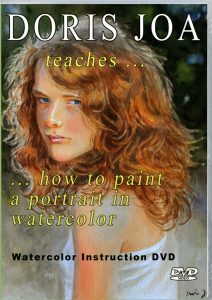 Looking forward to getting your new portrait DVD when it comes out! Thank you!